The Florida Counties Foundation (FCF) presented 39 County Commissioners with the Certified County Commissioner (CCC) designation following completion of a comprehensive study program developed by the Foundation. 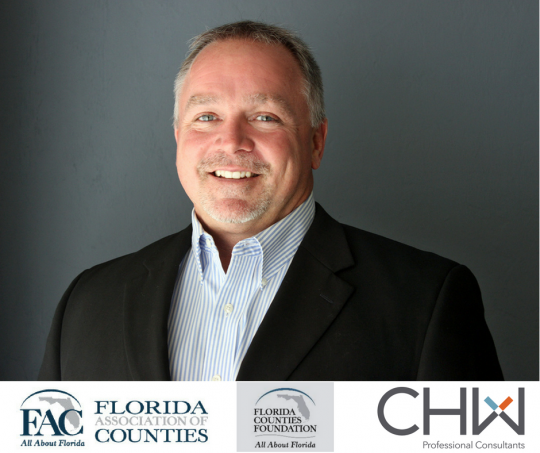 CHW’s own Chris Dougherty received the designation, along with 38 other county commissioners, during an awards ceremony held at the Florida Association of Counties (FAC) Annual Conference in Orange County, Florida. Dougherty was also selected as a 2018 Presidential Advocate. This special recognition is bestowed upon county commissioners who have shown exceptional leadership in partnering with FAC during the 2018 session to advance the counties’ legislative agenda. Congratulations, Chris! Our CHW team is the backbone of our organization and does everything with a purpose. Learn more about Chris and our CHW Team here.